Photograph: © SAF — Coastal Care. 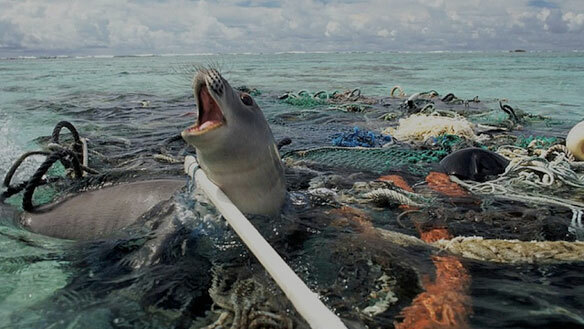 “Whether plastics present a unanimously accepted and proven toxic challenge to marine life, and subsequently to humans, is one of the biggest challenges facing scientists right now. 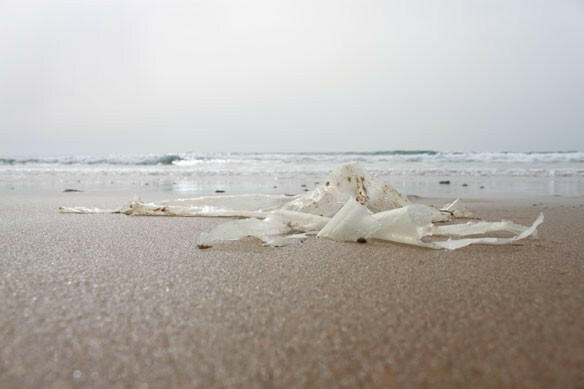 —Claire Le Guern, author: “When The Mermaids Cry: The Great Plastic Tide,” Coastal Care ©-2009. A scientist has filmed the moment plastic microfibre is ingested by plankton, illustrating how the material is affecting life beneath the waves. For more than 50 years, global production and consumption of plastics have continued to rise. An estimated 300 million tons of plastics were produced in 2015, confirming and upward trend over the past years, according to a new report by the World Economics Forum, released at Davos in January 2016.